Warhammer: End Times – Vermintide, the epic co-operative action combat adventure set in the End Times of the iconic Warhammer world, is available today on Standard and Collector’s editions on Windows PC via Steam, Humble Store, Greenman Gaming, and Gamersgate. October 23rd, 2015 | Tags: cinematic trailer, Collectors' Edition, Heroes, launch, seige, Skaven, Standard Edition, Steam, Ubersreik, Vermintide, Warhammer, Warhammer: End Times Vermintide. Warhammer: End Times Vermintide launches on Steam this Friday, the 23rd October, and to celebrate, independent developer Fatshark have released the following cinematic launch trailer! October 21st, 2015 | Tags: auction, charity, cinematic trailer, Collectors' Edition, ebay, Fatshark, Game Overview video, I DON'T WANNA JUMP!! !, launch, limited edition, pre-order, Skaven, skydive, Steam, Ubersreik, UNICEF, Vermintide, Warhammer, Warhammer: End Times Vermintide. Fatshark have released the second of five action reels, showcasing gameplay from each of the five playable heroes in Warhammer: End Times Vermintide! The Waywatcher Action Reel focuses on Kerillian, the deadly and sharp sighted Wood Elf..
September 28th, 2015 | Tags: action reel, bow, Collectors' Edition, Kerillian, pre-order, Steam, Vermintide, Warhammer, Warhammer: End Times Vermintide, Waywatcher, Wood Elf. The Indie Gala Sim is here, with 7 simulation games at a pay what you want price. November 22nd, 2012 | Tags: Bridge Constructor, bundle, Bus Driver, Collectors' Edition, CyberPhobx, Deer Drive, discounts, Euro Truck Simulator, Headup Games, Merge Games, pay what you want, Police Simulator, Police Simulator 2, SCS Software, sim, simulation, The Indie Gala, Traffic Manager. Are we being exploited by DLC? Spurred on by the debate around the Mass Effect 3 DLC, I started writing some thoughts down.. but it quickly turned into a definite TL;DR with DLC, online passes, pre-order bonuses, retailer exclusives and the fight against used games.. as well as the all-too-common cry that customers are being exploited. 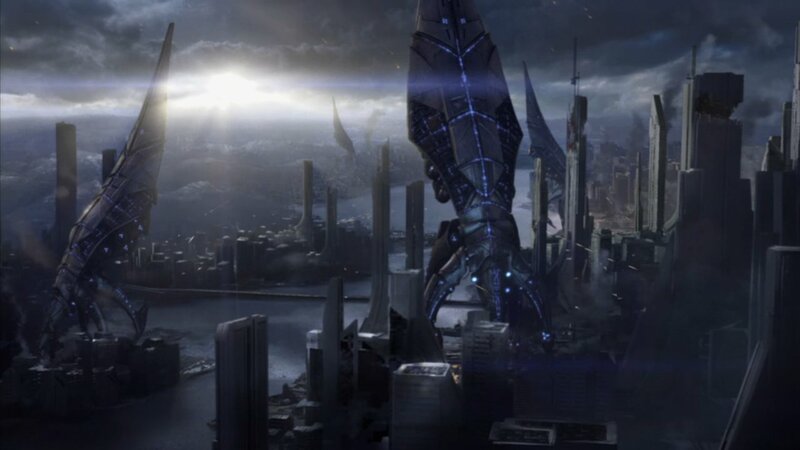 The first Mass Effect 3 DLC pack appeared briefly on the Xbox Live Marketplace last week, and stirred up quite a debate about exploitation. February 29th, 2012 | Tags: 40 weeks of DLC, actions speak louder than words, APB, BioWare, Celestial Steed, Collectors' Edition, Dawn of War II, Day 1 DLC, DLC, Dragon Age: Origins, engagement ring, exploitation, Farmville, freemium, From Ashes, Horse Armour, League of Legends, map pack, Modern Warfare 2, money, online pass, pay to win, pre-order bonus, Prothean, retailer exclusive, reward, Saints Row: The Third, season pass, Something Special for Someone Special, spoiler, Stimulus Package, TF2, used games, Valve, Warden's Keep, Warhammer 40k: Space Marine, WoW, XP boosts. The first Mass Effect 3 DLC pack appeared briefly on the Xbox Live Marketplace today, almost two weeks before the launch of the game. The DLC is called From Ashes, and the description itself included some spoilers for the game: the DLC unearths some secrets from the past.. and adds a new character to your squad: a Prothean. Via VG247. February 22nd, 2012 | Tags: Battlefield 3, BioWare, boycott, Collectors' Edition, DLC, exclusive, From Ashes, Mass Effect 3, pre-order bonuses, timed exclusive. Terraria, the adventure action sandbox game by Re-Logic, is being released on the 16th March, on retail store Merge Games as an exclusive Collectors’ Edition, with an in-game pet, physical toy pick, trading cards and a poster. 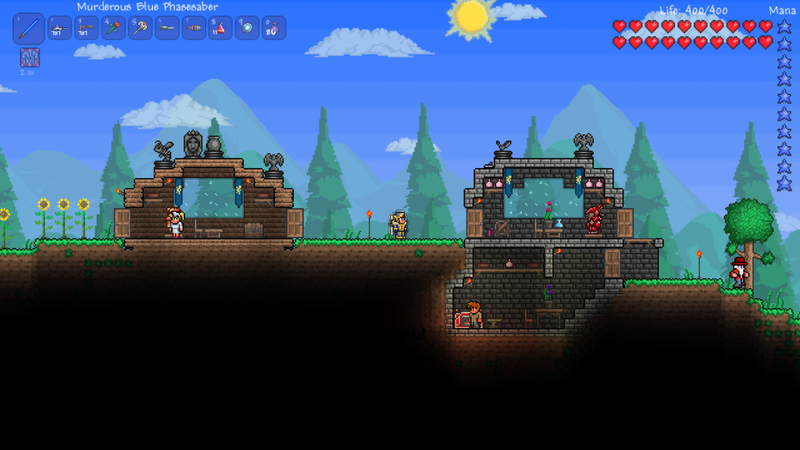 Terraria has been available for download since May 2011, and is currently available on Steam for £5.99. January 26th, 2012 | Tags: Collectors' Edition, Merge Games, Terraria.